Australia's Foreign Affairs Minister Julie Bishop has said her country will not move its embassy to Jerusalem, despite support in her Liberal Party's for the move, The British Guardian reported on Saturday. The youth branch of the Australian Liberal Party had called on the government to relocate its embassy from Tel Aviv to Israel’s capital and suspend all aid to the Palestinians "until it terminates its 'Martyr's fund.'" While the non-binding motion passed in a 43 to 31 vote, the Australian foreign minister said the government was not going to adopt it. “While I understand the sentiment behind this resolution, the Australian government will not be moving our embassy to Jerusalem,” she said. "Jerusalem is a final status issue and we have maintained that position for decades," Bishop added. Responding to the call to suspend funding to the Palestinians, the foreign affairs minister noted that "we are doing all we can do to ensure that any support we give to the Palestinian Authority is only used for purposes that we determine." "Our funding to the Palestinian Authority is subject to a memorandum of understanding, defining precisely how it is used and subject to very close audit to ensure that no funds are diverted to the so-called Martyr’s fund," she explained. Bishop said she had recently written to Palestinian Foreign Minister Riyad al-Maliki to ensure Australian aid—about $43 million—was being spent on health, education, and governance. The party's youth arm President Josh Manuatu submitted the proposal during the Liberal Party’s annual conference of the federal council in Sydney. "Israel is the only free democratic country in the Middle East. Nevertheless we've decided not to recognize its right to independently determine its capital," Manuatu said during the conference. "Moving our embassy from Tel Aviv to west Jerusalem—an uncontroversial zone—would underline our utter solidarity with Israel," he argued. "No nation has its capital determined by embassies, or the UN, or anybody else. (Moving the embassy) will help promote the peace process by sending a clear message, not only to the region but to the entire world that we'll stand by nations that share (our) values of freedom and liberty," Manuatu further explained. While the government in Canberra rejects moving their embassy to Jerusalem, Australia is considered one of Israel's biggest supporters. It was one of the eight countries that voted against a UN General Assembly resolution to condemn Israel for the deaths on the Gaza border. The US resolution to condemn Hamas over the recent escalation of violence in Gaza was voted down despite of being approved by a 62-58 vote, with General Assembly President Miroslav Lajcak explaining that under an assembly rule, a two-thirds majority was needed. In the following vote, the resolution to condemn Israel and call for an international force for the protection of Gaza's civilians was approved by a 120-8 majority, with 45 abstentions. Australia was among the countries voting against Israel's condemnation. 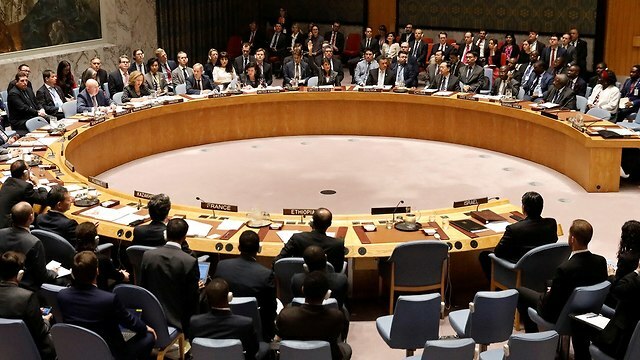 Australia's Ambassador to the UN Gillian Bird said during the vote on the resolution that it "failed for not mentioning Hamas by name and its part in the Gaza border riots." "It has also failed in mentioning Israel's legitimacy in (taking measure) to ensure its safety. Those are the reasons why Australia has decided to vote against the resolution to condemn Israel. Nevertheless, Australia remains committed to the two-states solution," Bird added. Gilad Cohen, Deputy Director of Asia and the Pacific at the Foreign Ministry, said, "We have many friends on the bilateral level, but when it comes to the UN they vanish. The Australians are not afraid to say: Israel is right." "(Our friendship with Australia) is a deep one, and not only in the UN, but also (when it comes) to health, economy, security and trade issues," he elaborated. "It's are based on common values both of our countries share." Australia was also the only country, apart from the US, that was against the UN Human Rights Council's resolution to establish a commission of inquiry into recent events on the Gaza border. See all talkbacks "Australia rejects moving embassy to Jerusalem "